Derrick Henry tied the Alabama Crimson Tide record for consecutive games(10) with a TD in the Georgia game, Saturday. Will he find pay dirt against Arkansas to get the record? We'll find out Saturday! The kid is pretty good at finding the end zone. I would recommend giving the ball to him more as the season wears on. He is a complete freak of nature once he starts running downhill. 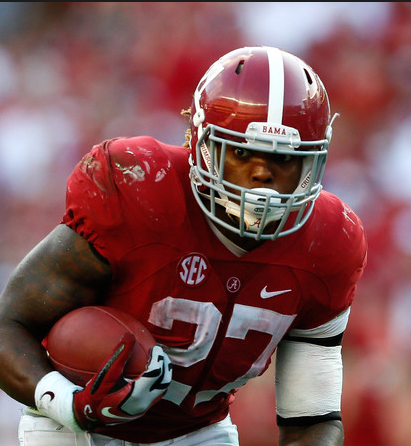 Rewarded for his efforts, Derrick Henry was named this week's SEC Offensive Player of the Week.